Onlinestrength analyzed 38 best-selling Resveratrol supplements in the United States, recording total resvertrol content, sources of resvertrol (Japanese knotweed, grape seed extract) and noting which the parts of the plant the resveratrol (e.g., leaf, root, bark, or fruit). None of the supplements we reviewed contained any heavy metals or contaminates. All products in tablet or caplet form and had their resveratrol sourced from Japanese knotweed and grape seed extracts. Resveratrol is a natural antioxidant found in red wine. Resveratrol is a plant chemeical contained in red grape skin and inside of grape seeds, and smaller amounts can be found inside peanuts. This powerful antioxidant can protect the body from damages caused by free radicals, a natural occurring harmful substance known for destroying cardiovascular health over time. Promotes healthy blood circulation to all parts of the body including the heart. Supplements must contain trans-resveratrol to be deemed effective. Supplements are required by the FDA to identify and specify the part of the plant from which the resveratrol is obtained. 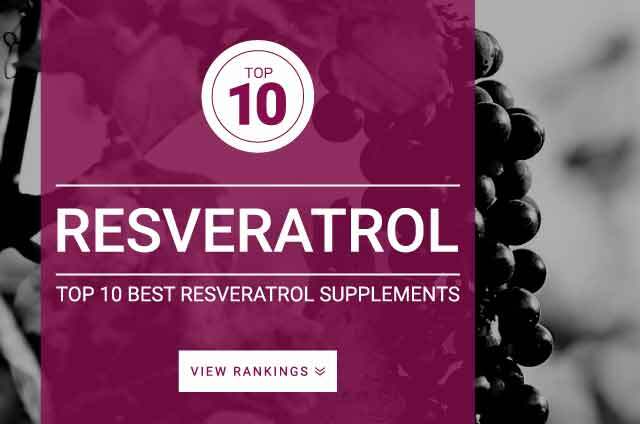 Almost all supplements have their resveratrol sourced from Polygonum cuspidatum (Japanese knotweed) and some products include resveratrol from grape seed extracts. Clincial research resveratrol dosages: 30 mg – 1000 mg.
For best results follow the products extract supplementation instructions.